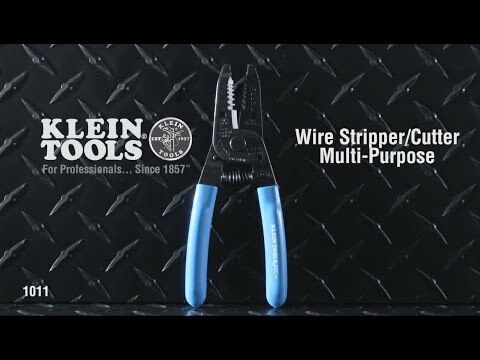 The versatile Klein Tools Multi-Purpose Wire Stripper and Cutter can strip six standard wire sizes without nicking the wire. The scissor action of the cutting jaw makes clean cuts with little effort. Plastic-covered handles are comfortable to use.